If you are interested in presenting either a full length or lightning talk, they still have spots to fill. They are also looking for someone to sponsor the event, in exchange for a 1/2 hour presentation. If you are interested in either, please contact Russell Mercer. 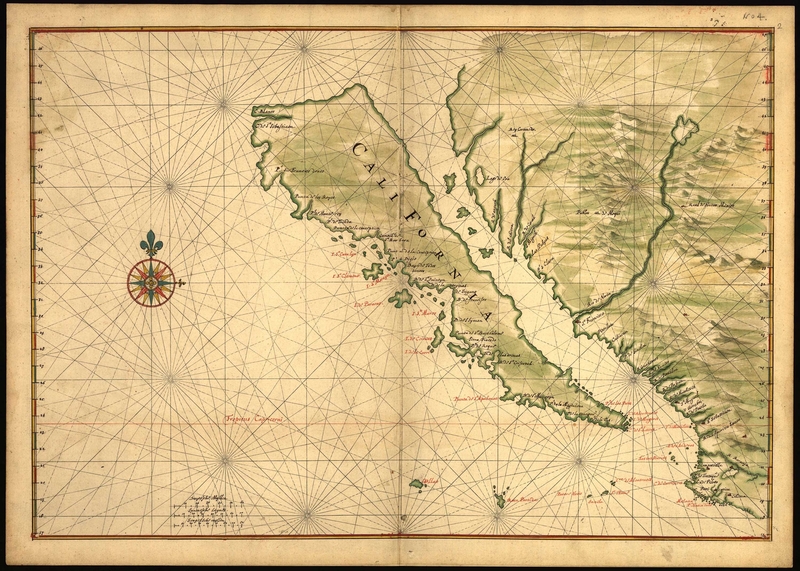 Don’t miss the California Map Society meeting at UCSB this Saturday, February 2nd. 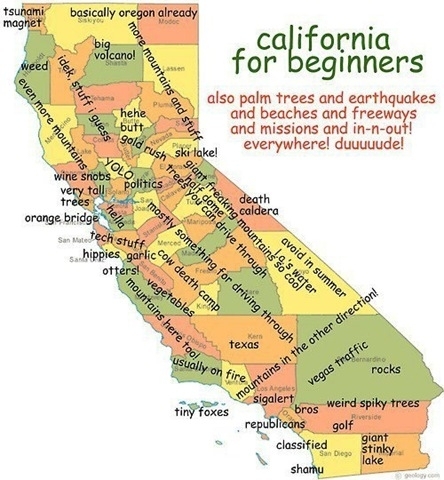 For more info, visit their web page at californiamapsociety.org. Yes, I think it’s really like this! 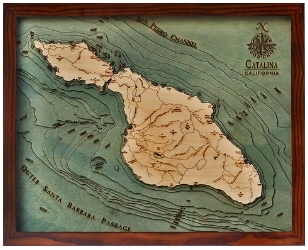 If you like nautical charts, then you will like these wooden creations by Below The Boat. Groups across the country have signed up to update street data in OpenStreetMap. You can help too. See openstreetmap.us for more info. The City of Lake Forest has a Senior GIS Intern position. More info at GovernmentJobs.com. Complimentary use of Microsoft’s Bing Maps with ArcGIS will begin to be phased out as of February 28, 2013, and will be phased out completely by September 30, 2013. ArcGIS will continue to be Bing Maps ready, but you will have to obtain your own Bing Maps key directly from Microsoft and input the key into your ArcGIS products. Once you input the new key, you will be able to use Bing Maps in your ArcGIS products. Once you obtain a key from Microsoft, you will be able to use Bing Maps in your web and mobile applications, including ArcGIS for Server, ArcGIS Web APIs, and all ArcGIS Mobile SDKs. ArcGIS 10.1 for Desktop users will have to install ArcGIS 10.1.2 before being able to input a Bing Maps key. ArcGIS 10.1.2 is currently scheduled to be available in late Q1 2013. ArcGIS 10 for Desktop users will have to install a patch to use their Bing Maps key. The patch will be available in late Q1 2013. ArcGIS Desktop 9.3.1 will no longer support the use of Bing Maps. ArcGIS Online will be Bing Maps ready at the next release, scheduled for the end of Q1 2013. At that time, customers who have an ArcGIS Online subscription will be able to input a Bing Maps key and continue to add Bing Maps to their web maps. However, customers who have an ArcGIS Online personal account will no longer be able to use Bing Maps after March 31, 2013. For both subscribers and personal account holders, web maps that already include Bing Maps will continue to function. The World Imagery Map is updated frequently and provides 1 meter or better satellite imagery for many parts of the world. We just added a substantial volume (50 terabytes) of more recent and more detailed aerial imagery from DigitalGlobe. The update includes 30 cm imagery for the continental United States down to 1:1,000 scale, and 60 cm imagery for large parts of western Europe down to 1:2,000 scale. Over the coming months, we will add more DigitalGlobe imagery to this service, giving you even more detailed coverage for Europe and many other parts of the world. In addition to the World Imagery Map, ArcGIS Online gives you access to a number of different basemaps that you can use in your projects. The World Street Map, World Topographic Map, Light Gray Canvas Map, and National Geographic World Map provide a range of cartographic options to meet your needs. If you have any questions, please contact your local Esri office. To talk directly to someone at Microsoft, send an email to bing4esri@microsoft.com.